Three years ago, CRP began offering professional crash courses in the barber trade. Each course meets over a period of two months. We schedule courses Saturday through Thursday to accommodate the varying schedules of our students. Each group of students meet twice a week for three hours. Despite an exhaustive waiting list, we cap classes at 15 students, fostering a personalized environment. Subsequently, the barbershop is integral to both cultivating skills and creating a sense of community between the students and their instructors. 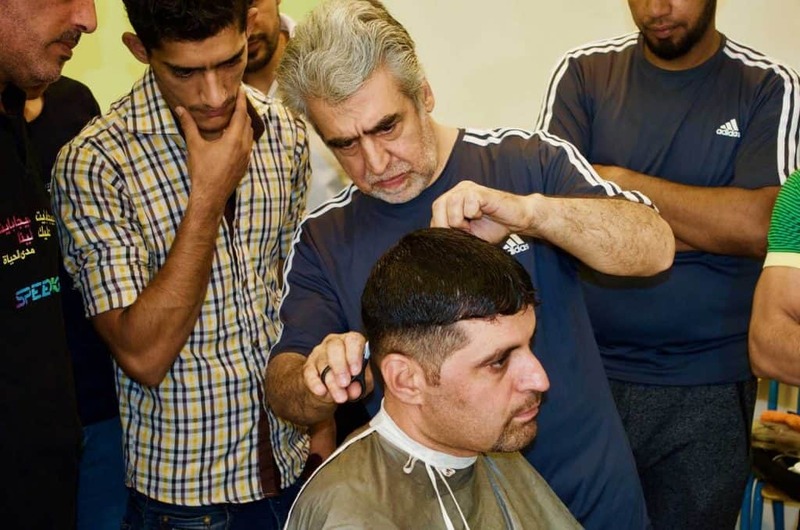 We have given a former barber from Iraq, Sa’eed, an opportunity to share his skills with fellow refugees in the hopes that they can use these newfound skills to impart self-confidence, find employment, and, ultimately establish their own barbershop. Sa’eed demonstrates barbering skills to his students. 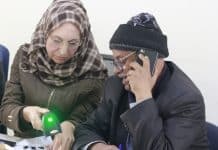 Because refugees are largely not allowed to work in Jordan, learning skills that they can barter or use in informal employment settings is important. Amer, a recent graduate of Sa’eed’s workshop, is currently seeking work as a barber. Amer is very thankful to both his teacher, Saeed, and CRP as the course taught him a variety of skills that are significant both within the barbershop and in life. “The first thing we learned was self confidence. Because being a barber was new to us all, we were first trained in the fundamentals. This entailed learning how to carry the scissors, how to hold the clippers, and how to cut with a razor. Being self confident is important because only with a strong foundation in the basics could I then begin to improvise.” says Amer. 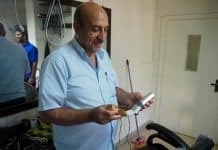 Amer frequently visits his old classroom to convene with old friends and meet new ones. Next articleThis Summer: Hot, Busy, & Fun!